Ovation Artist Group staff, pictured (L-R): Marc Whitmore, Meg Ellisor, Tyler Lewis, Melissa Miller, Jeff Roberts, Bill Marquardt, Teddy Pagano. Known for booking Dailey & Vincent, Sandi Patty and Ramsey Lewis, JRA Fine Arts is rebranding and changing its name to Ovation Artist Group. JRA Fine Arts previously focused on booking shows in performing arts centers and symphonies. Under its new name, the company will expand its reach to include clubs, festivals, casinos and other concert venues. Ovation Artist Group also recently expanded its roster to include Kurt Elling, Ramsey Lewis and soul singer Sam Moore. 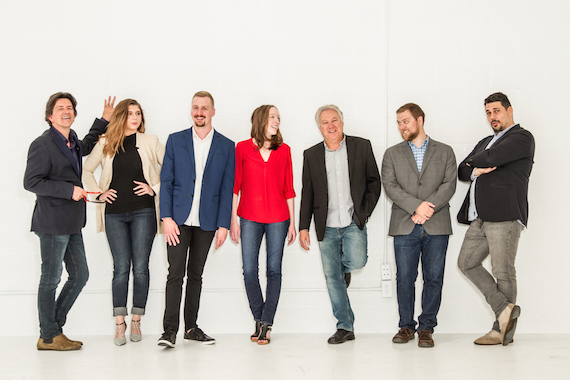 Ovation Artist Group is a division of the Jeff Roberts Corporation, which is also home to Jeff Roberts & Associations, which represents Casting Crowns, for King & Country, Lauren Daigle, Skillet and more.